AUSTRALIA is likely to produce a total winter crop for 2018/19 of 30 million tonnes (Mt) – give or take 2Mt – which will be 30 per cent less than the previous season and the smallest crop in a decade, according to Rural Bank’s ‘Australian Crop Annual Review 2018’. The drop is largely due to dry conditions in the eastern states which will see production there, in the space of two seasons, go from producing its largest crop on record to its smallest in 10 years. Rural Bank Ag Answers manager, Jonathan Creese, said the dry season would see winter crop production fall below average on the east coast and southern states, while in Western Australia where conditions were better the crop was expected to come in above average production. “Even so, nationally it will be the smallest crop for a decade. Dry and drought conditions have been the limiting factor this year. September 2018 was Australia’s driest September ever,” he said. The report said nationally less area was sown to crops in the 2018/19 season, especially wheat (-13pc), canola (-27pc) and chickpeas (-63pc). As the season has progressed, production estimates have been cut and cut again as dry and drought conditions have affected expected yields and caused some growers to abandon crops or cut crops for hay, especially in the eastern states. On the other hand, growers in WA have been fortunate with the timing of rain this season and expect state crop production to be at or above average. Despite the dry conditions, Australia will produce enough grain this year and combined with stocks will satisfy domestic demand. However, there is a marked difference between where the crop is produced (WA) and where it is needed (east coast). Winter crop production will be lower year-on-year in Queensland (-61pc), New South Wales (-55pc) Victoria (-23pc) and South Australia (-18pc), while increasing in WA (+11pc). 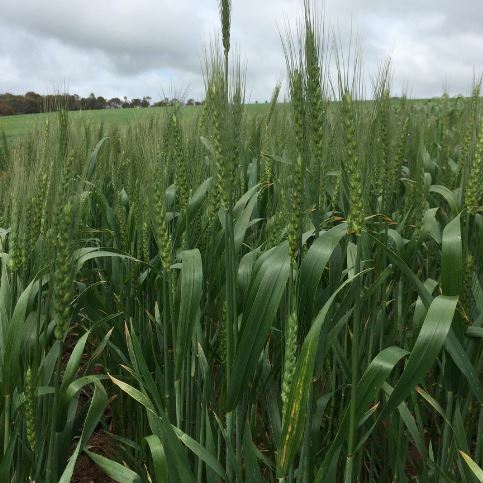 The Rural Bank report said Australian wheat production for the 2018/19 season was expected to be the lowest for 11 years. Estimates of national production range from 16 to 19Mt, a decrease of 25pc compared to the previous season. Australian barley production for the 2018/19 season is expected to be the lowest in six years. Estimates of national barley production range from 7.8 to 8.3Mt, a decrease of 18pc compared to the previous season. Australian canola production this season is expected to be the lowest for nine years. Estimates of national production range from 2.0 to 2.9Mt, a decrease of 47pc compared to the previous season. Australian pulses production is expected to be the lowest since the 2014/15 season. Estimates of national production are close to 1.7Mt, a decrease of 36pc per cent compared to the previous season. The decline in production this season is particularly apparent for chickpeas and field peas, which are estimated to drop by 66pc and 19pc respectively. The production drop for chickpeas appears stark in the context of recent ramping up of production just three years ago.